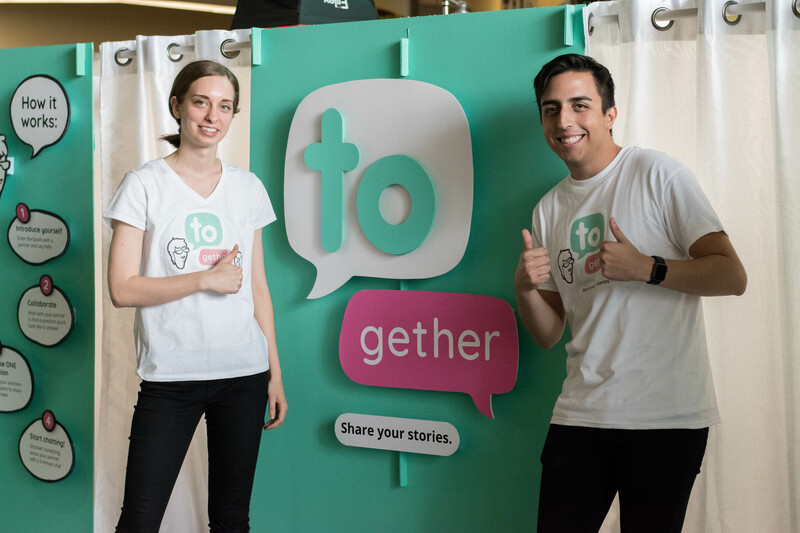 Humber’s Transmedia Fellowship collaboratively created an interactive installation called TOgether, which invites friends and strangers to exchange stories, thoughts and ideas. The Fellowship brings together students from a wide range of programs in the School of Media Studies to work on a collaborative interactive storytelling project. “The Transmedia Fellows were interested in exploring how we have a sense of place within the multifaceted nature of Toronto. An important way people connect and build social fabric is by sharing experiences, so TOgether invited participants to share a personal story through a spontaneous conversation between friends and strangers,” explains Steve Cober, a Humber professor and one of the producers for this year’s Transmedia project. 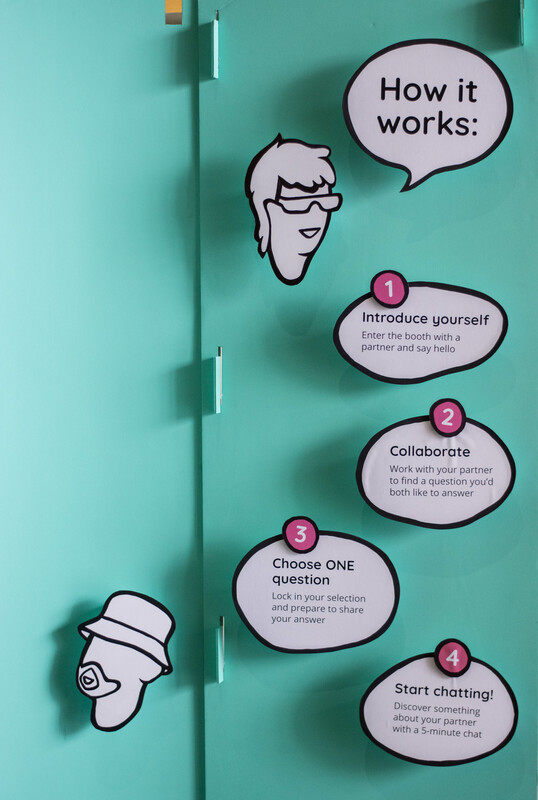 Four students – in the Digital Communications, Web Development/UX Design, Game Programming and Graphic Design programs – worked with Cober and Nooreen Hussain, a research coordinator in the School of Media Studies, on the project. For two days at the end of July, the team ran TOgether in the E Building concourse at North Campus. Editing of the footage is currently underway, and will be shared starting September 15 at www.humbertransmedia.ca. 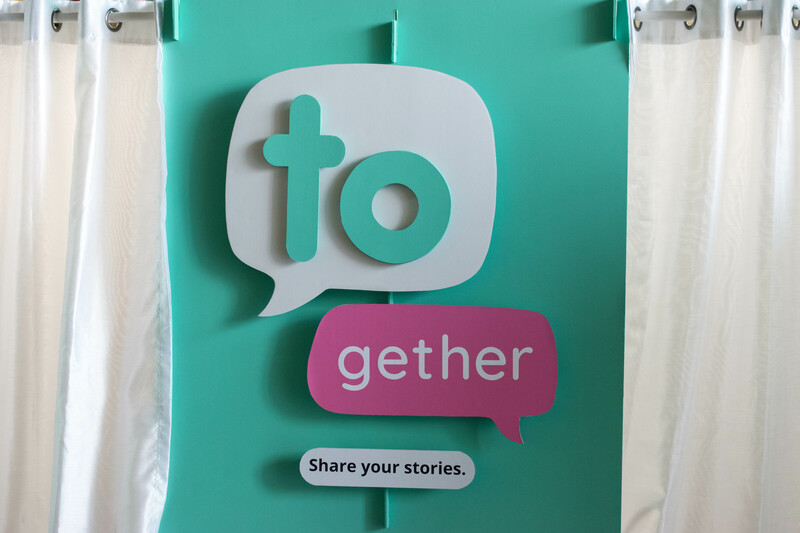 TOgether’s next outing takes place during Culture Days, September 29 in the Welcome Centre at Lakeshore Campus.